First film, Second film, Third film is the best so far! 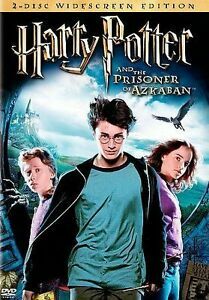 Based on J. K. Rowling's book, "Harry Potter and the Prisoner of Azkaban" covers the boy wizard's third year at Hogwarts and hit the big screen in 2004. The film opens at Privet Drive with the end of the summer holidays approaching. The previous summer, at the start of the Chamber of Secrets, Harry had been blamed by the Ministry of Magic for a spell performed by Dobby the House Elf in Dursley's house. This summer, Harry panics as he accidentally casts a spell on Uncle Vernon's thoroughly obnoxious sister. Knowing he's in trouble, he decides to go on the run - but, following a bumpy ride on the Knight Bus, the Minister for Magic corners him at Diagon Alley. Harry is somewhat surprised to be let off, given the trouble he got into the previous year - but relieved all he same. The Magic Community seems to be much more concerned with a very dangerous criminal called Sirius Black, the first person to escape from Azkaban (the wizard prison). He had been sent there after being found guilty of murdering thirteen people - twelve of them muggles - with a single curse about twelve years earlier. Widely believed to have been a big supporter of Voldemort's, the rumour is he's hunting for Harry. As a result, some Azkaban guards (terrifying creatures, known as Dementors) have been posted at Hogwarts for the protection of the pupils and staff. Harry is, once again, joined by Ron and Hermione at Hogwarts. There's a bit of trouble between Harry's two friends, however. Much of that is caused by Hermione's new pet Crookshanks - a crazy cat, who seems determined to kill Scabbers, Ron's rat, at every opportunity. This year's Defence Against The Dark Arts teacher, is Professor Lupin who - like the Dementors, the three friends meet him for the first time on the Hogwarts Express. Despite the fact he dresses rather shabbily and gets strangely ill from time to time, Lupin actually seems to know what he's doing. He also proves to be highly popular with the majority of pupils, particularly Harry. There are a couple pf other new teachers introduced this year - one of them is Hagrid, who has taken over the Care of Magical Creatures class. Unfortunately, his first lesson leads to a bit of trouble with a Hippogriff. Another is Professor Trelawney, the Divination teacher - who seems to be a bit of a crackpot. In their first lesson, she somehow picks out the Grim (a death omen) from Harry's tealeaves. Harry probably wouldn't have been too worried, only he'd already seen something of a death omen just as he was boarding the Knight Bus. The movie is very enjoyable, though a good deal darker than I had imagined. Despite the criticism I've heard of their performances in the previous films, I thought Daniel Ratcliffe, Emma Watson and Rupert Grint were very good in their roles. (Draco, Harry's arch nemesis, would've stolen the show had his role been any bigger : Tom Felton plays the part of a strutting, arrogant, little twerp superbly. One of the most enjoyable scenes came when Hermione puts him firmly in his place). Professor Trelawney was also an enjoyable addition, played by the barely recognisable Emma Thompson. (Her ex-husband, of course, was also once on the teaching staff at Hogwarts : Ken Brannagh played the part of Gilderoy Lockhart in "The Chamber of Secrets"). For fans of the Stone Roses, meanwhile, Ian Brown stops by the Leaky Cauldron for a quick drink. The film's effects are hugely impressive. The kids are growing up, the dangers more "Sirius"
"Harry Potter and the Prisoner of Azkaban" is the third movie in the Harry Potter franchise, based on the very popular children's book series. Please do keep in mind that this movie is based on the book, which means that as good as the movie is, reading the book is better. That having been said, our hero Harry and his school friends are entering their third year of education at a magical high school named Hogwarts. There is an undercurrent of fear circulating in the wizarding world, as a notorious killer has become the first convict to escape from prison and is on the loose. For the most part, Harry has a good year at school. He has an excellent teacher (who was also a dear friend of Harry's deceased parents), Harry gains possession of a magical map, and he gets to visit the nearby town on a day-trip. However, when Harry learns that the escaped convict (named Sirius Black) is suspected to be the man whose treason led to the death of Harry's parents, he becomes consumed with anger and revenge. Harry is other being bothered by another problem...terrifying spectral beings (called Dementors) whose job it is to hunt down Sirius Black...but they will attack any student who gets in their way (Harry included). The first half of the movie sets the tone and mood and motivations, and the second half packs the punch. Director Alfonso Cuaron does a very good job of bringing to the screen the rather difficult and confusing concept of time-travel, in which the lead characters occupy the same time frame, but we see the action from a different point of view. The second half of the film has the most action, with chills, spills and spells...then we discover the important truth that "seeing is not always believing" and that not everything is as it appears to be. The end of this film draws all the characters even closer together in terms of a shared history and previous relationships and gets you excited for the next film! The movie moves along nicely; the pace just at the right speed...not too slow and not too fast. Although it is not 100% loyal to the book, it does maintain most of the spirit of what the author was trying to convey. This is the first time we really get a visual look at just how large an expanse of land the Hogwarts school is occupying...it's just immense! I was not happy at the portrayal of the Dementor characters (flying around like Casper the Ghost) but that is a small complaint. I also felt that certain scenes were over-dramatised, just for the movie (ex. the Hippogriff-class) which may be exciting to watch, but I didn't feel was necessary to the story. With this DVD came a second "bonus feature" DVD, and it is EXCELLENT! Hours of behind the scenes information, interviews with cast and crew, games and trivia...the bonus material alone was worth the purchase price. 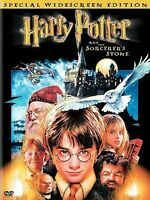 Whether you are an avid fan of the Harry Potter book series, or whether you have never read a book in your life, you will enjoy this movie. While it may not be approriate for younger viewers (slightly scary material) it is not profane, excessively or explicitly violent, or have any sexual content. It is rated PG, but even as an adult, you will like it! I hope that this review was halpful to you. I feel that "review writing" has become a lost art. If you enjoyed this review or found it useful, kindly vote YES (it was helpful). Thank you! If there's anything this movie proves, it is the difficulty in separating the series from the demands of fans. This is clear just from hearing some of the comments. "Why didn't they identify the names on the Marauder's Map?" "Why wasn't the second Quidditch game shown?" "Why wasn't there more of Crookshanks the Cat?" By focusing on what the film didn't have, fans fail to look at the film on its own terms. I think this is by far the best Harry Potter movie yet. The only way to satisfy fans would be to include everything from the book, which would require a miniseries. Since that isn't what these films are, the story has to be abridged. The first two films tried to fit everything they could within a reasonable slot of time. The result was a set of films that felt cluttered yet incomplete. Had they continued with this strategy for this movie, based on a much longer book, it would surely have been over three hours long. The virtue of the latest film is that it makes a real attempt to adapt the story, not just marching in lockstep with the book's events. The screenplay is sparing, leaving out or simplifying loads of details not directly relevant to the plot. But it captures much of the book's delight and humor. The first two films fell short in this regard, because they lacked the guts to tinker with the details, even though that was the key to condensing the story while staying true to its spirit. The movie is still faithful to the book, of course. Many of the scenes are exactly as I had imagined them. When it deviates, it does so based on an understanding of the story and characters. This is evident in the way they show, for example, the Knight Bus; Hermione's overstuffed schedule; and the introduction of the Marauder's Map, a scene that captures the twins' mischievous personalities. The changes are clever and funny, and they help compensate for the movie's loss in other areas. Certainly this has something to do with the new director. Columbus's approach was to stick to the books as literally as possible, often draining them of their subtlety. For instance, where the books only hint that Dumbledore can see through the invisibility cloak, the earlier movies make it unmistakable. The new director never condescends to the audience in that way. This is a children's movie, but it is also a fantasy-thriller that we can take seriously, because not everything is spelled out for us. We're given a chance to think. But part of what makes the movie work is the book itself. The story is gripping from start to finish, because the threat looming over the school is established early on. Harry's personal life is sharply intertwined with the plot. We feel for him as we watch his disastrous (but hilarious) attempts to escape his uncle and aunt, and his humiliating reaction to the dementors. The story avoids common devices such as the talking killer or deus ex machina, which the other books have in abundance. The ending is nicely bittersweet and ambiguous. The plot is so complicated, however, that the book spends several chapters explaining it all. The movie wisely includes only very little of this, allowing the plot twists to become understood as the story progresses. I was surprised to see certain events that were in the movie but not the book lend support to an important theory some fans have had about what is to be revealed at the end of the series. Of course, it is well-hidden and won't give anything away for those who aren't looking for the clues.